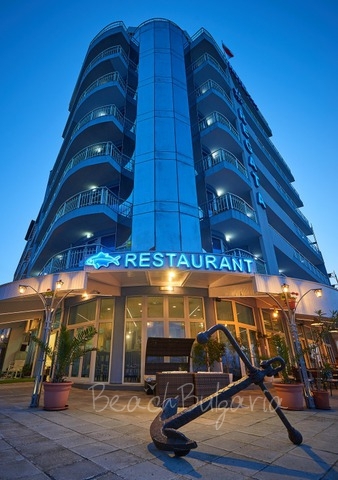 Location: Regatta hotel is situated on a sandy beach in the old part of Pomorie SPA resort on the Black sea coast. 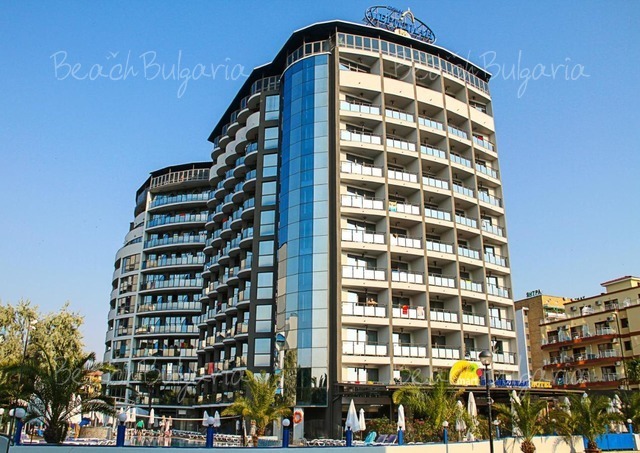 Accommodation: The hotel features double rooms, panoramic studios and apartments. 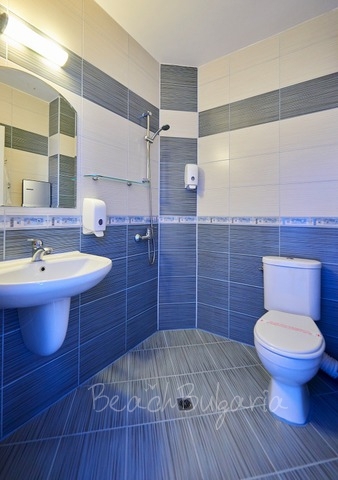 The rooms are decorated in warm tones of blue and beige. The guestrooms offer a minibar, a sofa, cable TV and a luxurious bathroom with a hairdryer, as well as a balcony with sea view. 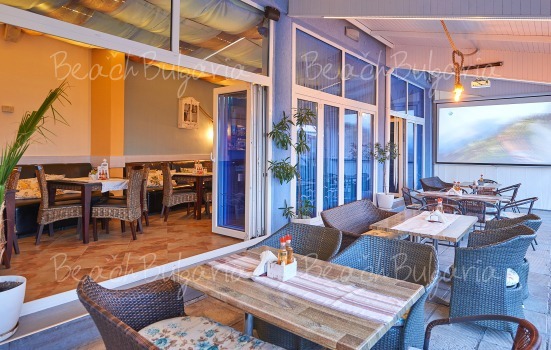 Bars & Restaurants: The restaurant offers 100 seats, 50 of which are outdoor. 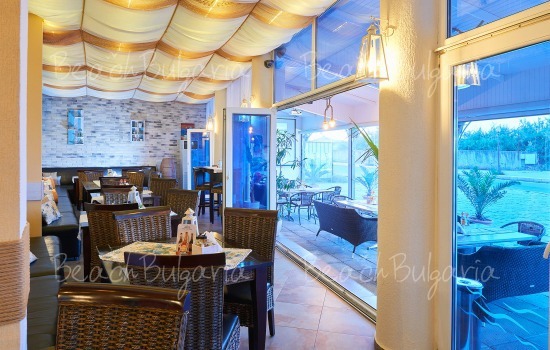 The restaurant serves Bulgarian national dishes, fish and seafood delicacies, spaghetti and pizzas, and homemade desserts. 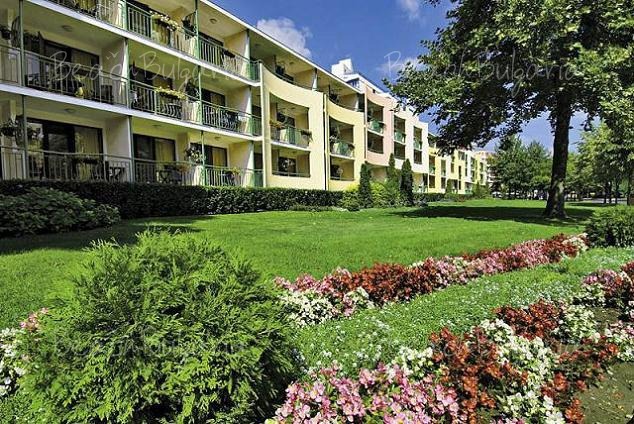 * The prices are in Euro per room, per night, breakfast included. 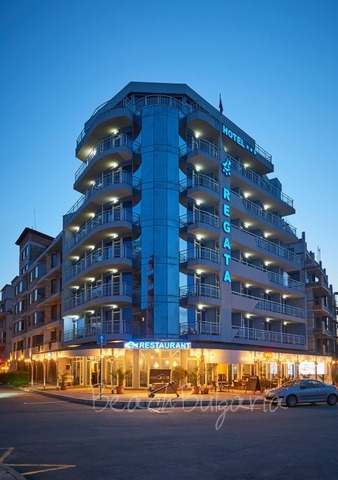 Please, post a comment on Regatta hotel.